Do you know how to clean your hearing aids? Healthcare professionals generally provide hearing aid cleaning services, but it’s also good to follow cleaning practices at home. 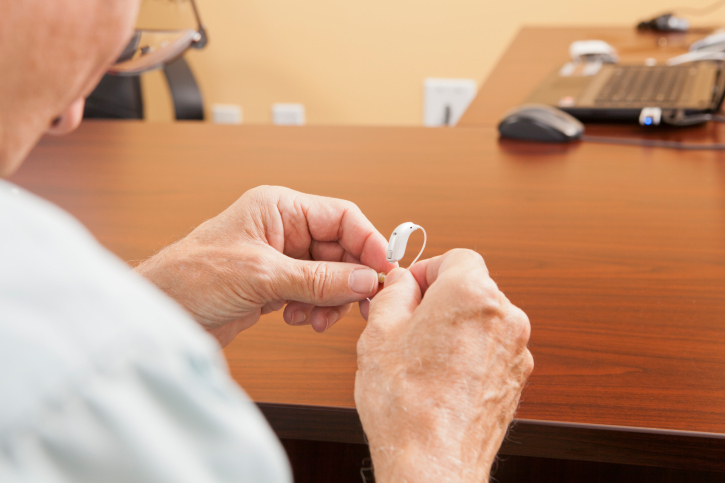 You want to keep your hearing aids in pristine condition, so there are a few tips and essential guidelines you should be following. Let’s take a look at how to increase the longevity of your hearing aid. If you want to ensure the longevity of your hearing aid, it’s important to have the appropriate tools. There are specific tools such as wax picks that are designed to clear buildup. This buildup can form at the end of the device where sound comes from, and large amounts of earwax can also clog the microphone and receiver of your hearing aid. This can create a static sound. So if you think your hearing aid is on the fritz, you may just have too much wax! If you have a hearing aid, it’s a good idea to establish a daily routine. Hearing aids can be damaged when hair products such as sprays and gels are used while the aid is in, so it’s better to apply these products before you put in your hearing device. It’s also a good idea to wash your face while your hearing aid is out. This will help to avoid unwanted moisture or having the face wash get in the device. Another good practice to establish is to clean your hearing aid at the end of each day. Since your hearing aid will be removed for several hours, you want to make sure that it is cleaned the next time you put it in. Cleaning wipes with chemicals and alcohol can actually damage your device, so make sure to discuss your options with a hearing solutions center. Aside from the cleaning tips mentioned above, you should also consider cleaning the battery compartment of your hearing aid. You can do this at night by removing the batteries and brush the battery compartment with a cleaning brush. You can leave the battery door open to help remove any moisture that was accumulated during the day. This entry was posted on Friday, April 1st, 2016 at 5:01 pm. Both comments and pings are currently closed.